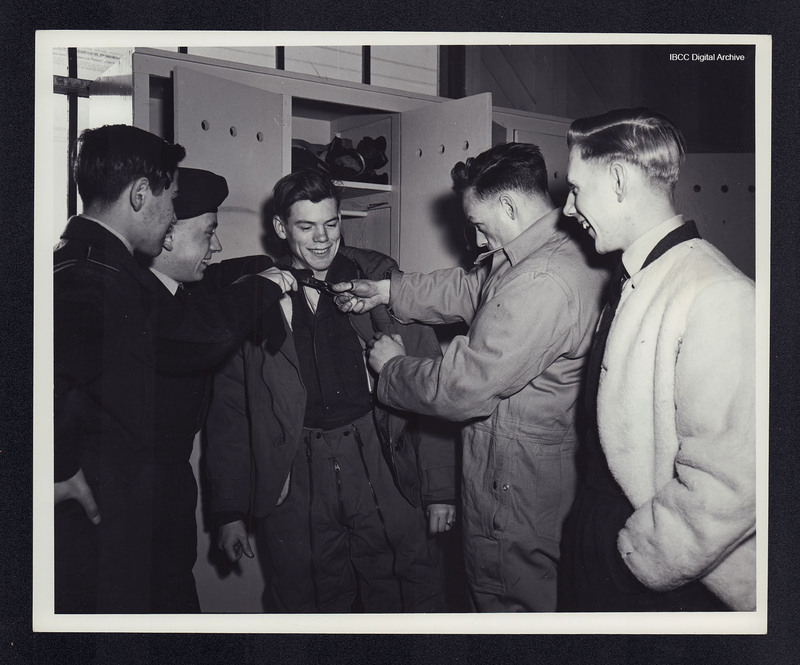 One airman in a flying suit is having his tie cut off by two others, one holding the tie, the other, wearing a boiler suit, wielding the scissors, whilst two others look on. Everybody except the man with the scissors is laughing, he is concentrating on his task. The group is stood in front of a bank of lockers. “Cutting a tie,” IBCC Digital Archive, accessed April 24, 2019, https://ibccdigitalarchive.lincoln.ac.uk/omeka/collections/document/16163.